Action board: What words and actions are driving you? I find each day has its challenges to give a chance to reveal a new possible action that can be taken to improve the moment. 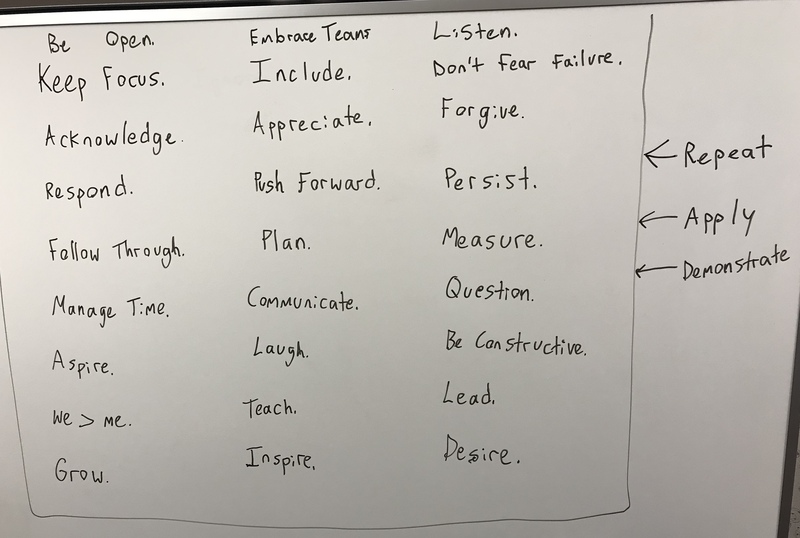 As something I am learning each day I find that sometimes it’s good to visualize key actions and values to remember how we focus ourselves and work to apply them every day. You may not apply them all at once but as you come back to it and think through your experiences you can reflect and continue to figure out where you can grow and build your partnerships. Challenge yourself, chances are you may find you have a lot more of these than you think. Thanks for reading. Any other good ones for the board?